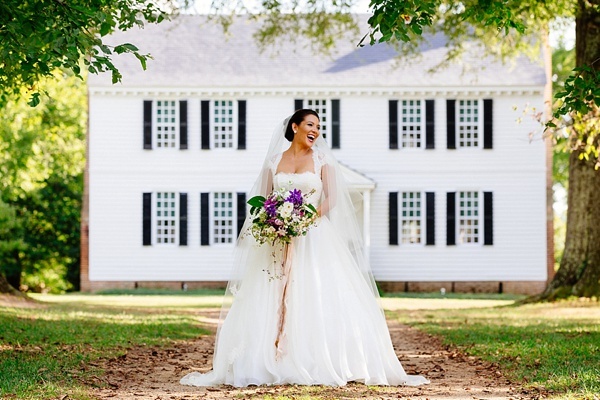 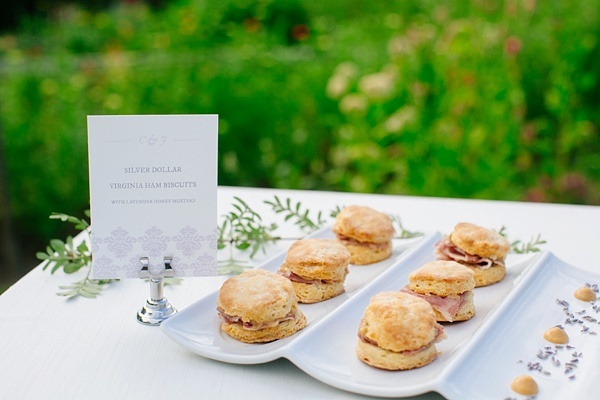 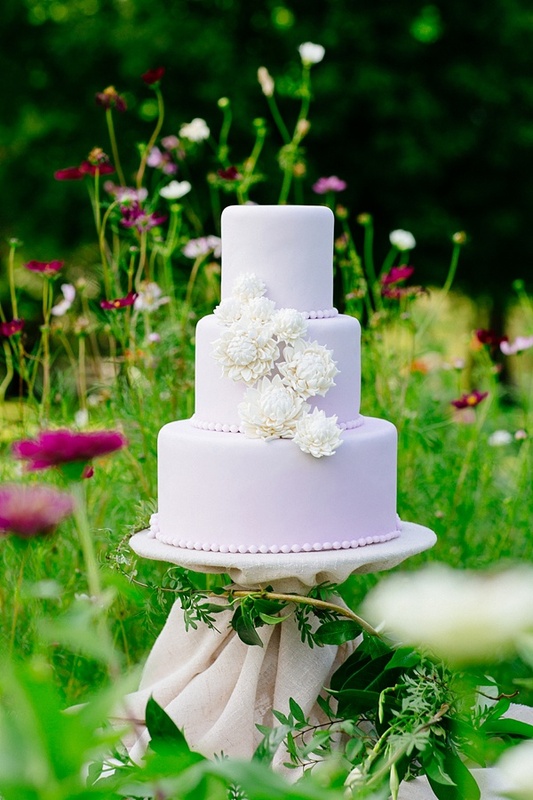 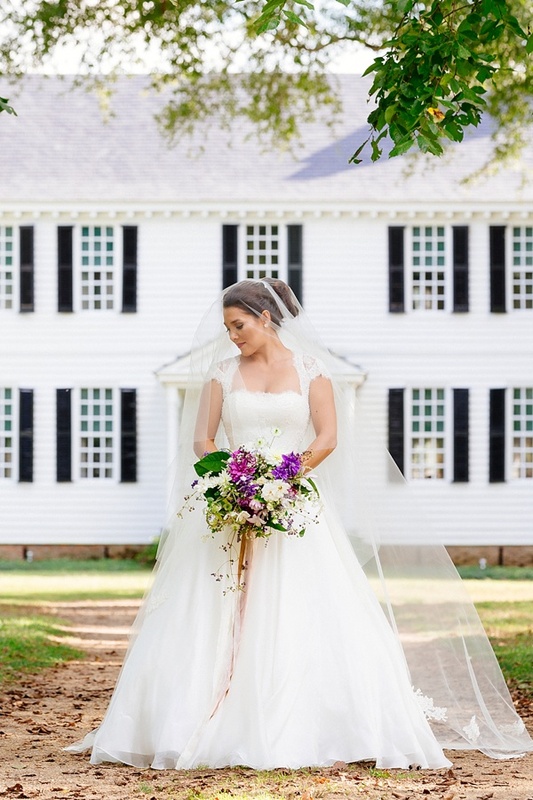 Inspired by the gorgeous landscape of Tuckahoe Plantation (the boyhood home of Thomas Jefferson!) 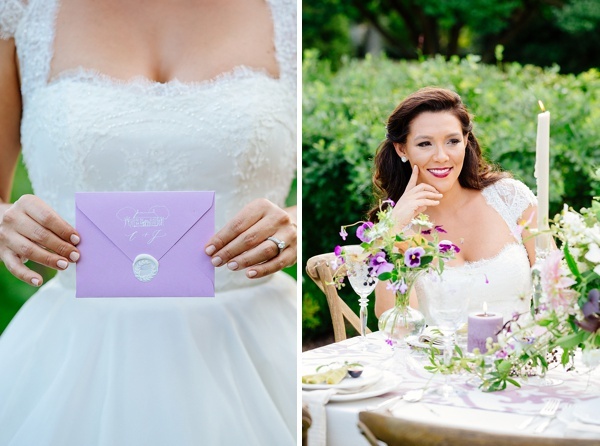 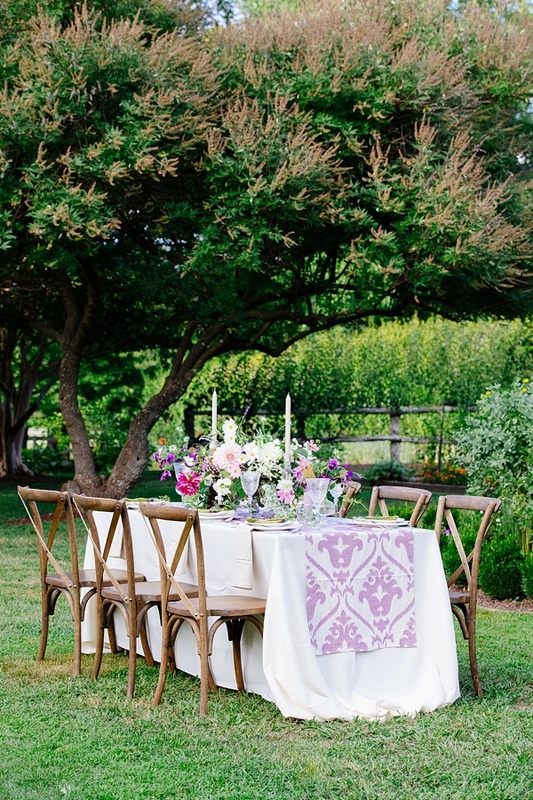 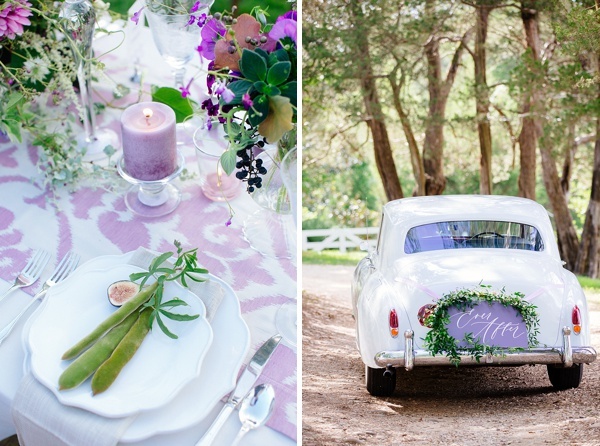 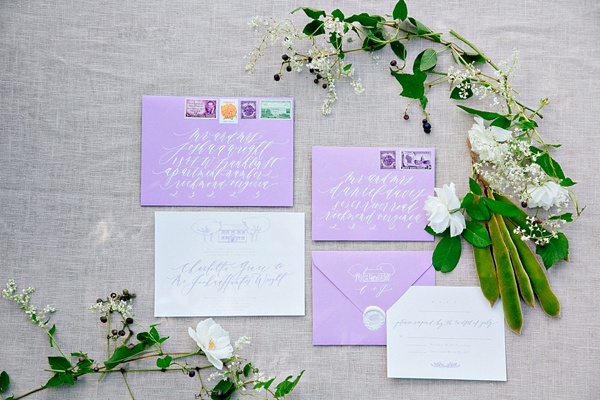 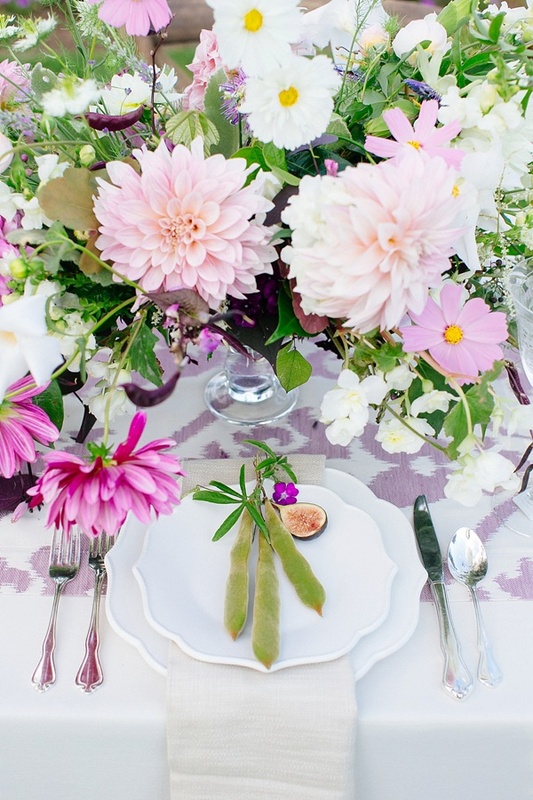 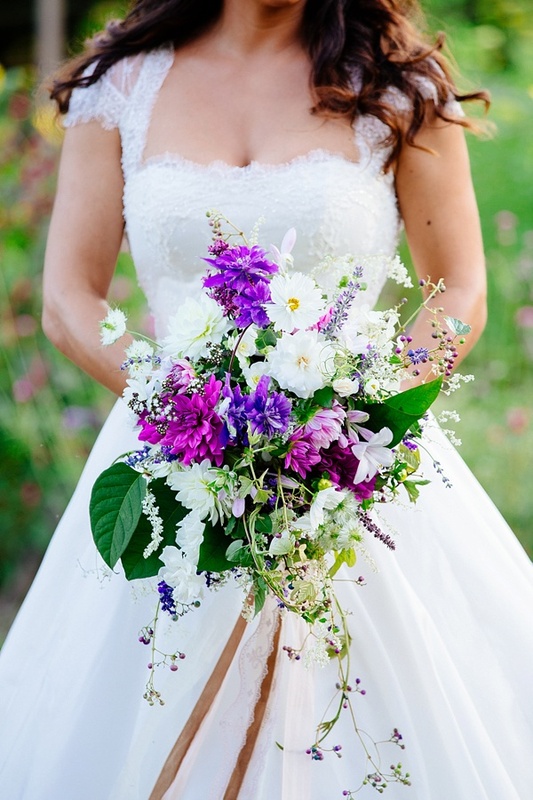 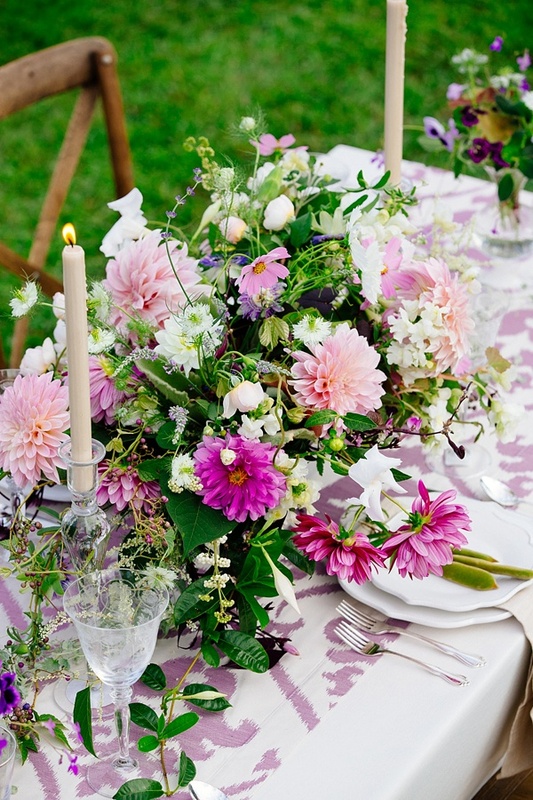 just outside of Richmond, Virginia, Fête Weddings, Don Mears Photography, and the entire creative vendor team dreamed up wedding visions of lavender-hued garden romance with fresh classic modern spins... just look at that swoonable ikat-esque table runner! 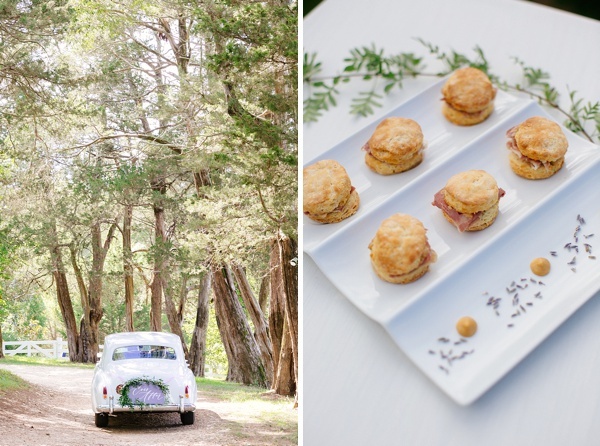 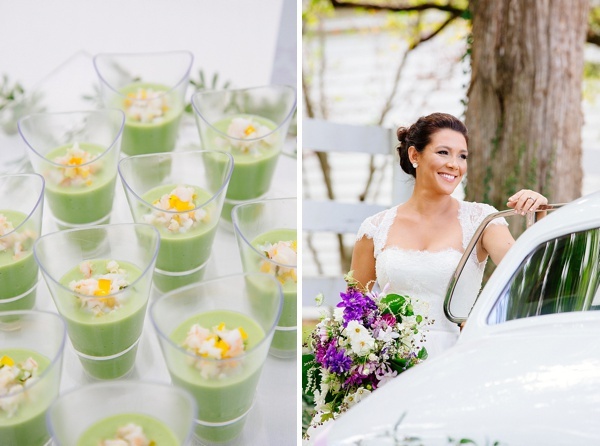 Loose and wildly arranged blooms, elegant modern calligraphy, vintage getaway car, and colorful Southern cuisine gave whimsy to this inspiration shoot – it is simply perfect for the couple looking for an undeniably romantic aesthetic for their special day. 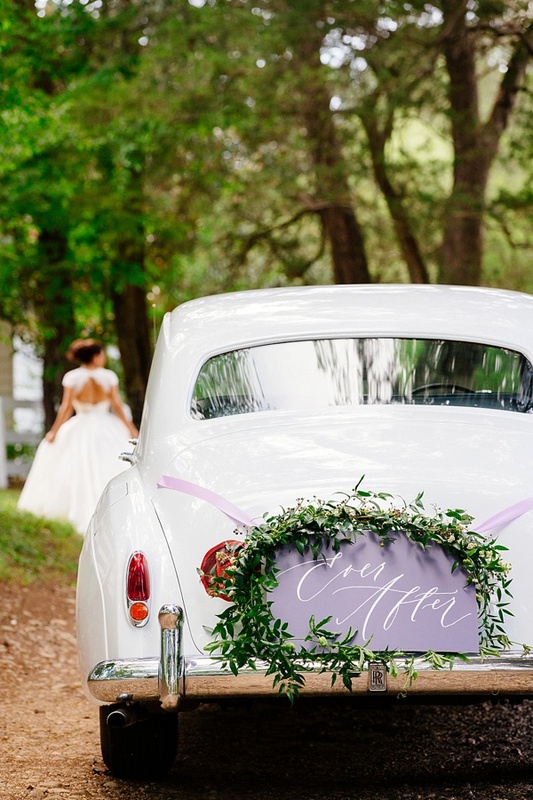 When you blend together details like bridal lace cap sleeves, foraged garden greens, and delicate wax seals, you are going to go down the timeless path and get lost in the best of the beauty that nature offers for weddings!